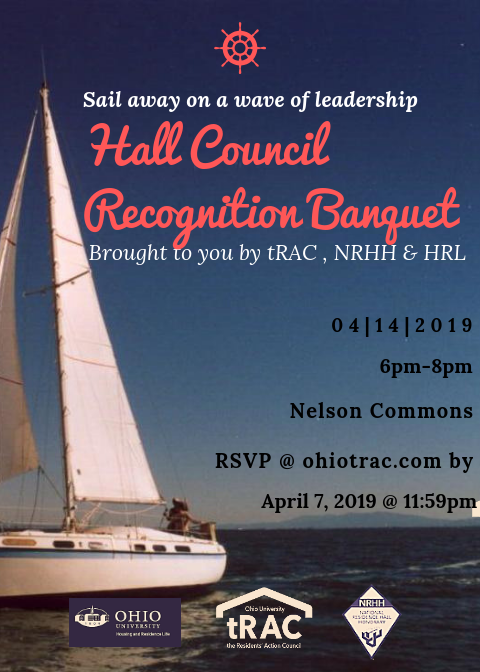 The deadline to RSVP for this event has passed, however, please refer to the invitation above or email president@ohiotrac.com with any concerns. If you do not reside in a residence hall, please let us know what organization/department you are from in the next question. If your restriction does not appear in the list, please tell us about it in the next question.